For decades now, scientists have known what are the biochemical reactions that trigger a penile erection, however not those that actually maintain it. In a breakthrough, physicians at Johns Hopkins Medicine have finally uncovered the exact biochemical chain of events involved in the process. The findings will hopefully lead to novel medical treatment for patients suffering from erectile dysfunctions – a big step towards developing erection pills to cure erectile dysfunction. In a 1992 study published in the journal Science, Arthur Burnett, M.D., professor of urology at Johns Hopkins Medicine, along with his Johns Hopkins co-author, Solomon S. Snyder, M.D., professor of neuroscience, showed that nitric oxide is produced in penile tissue, and demonstrated its role as a key neurotransmitter responsible for triggering erections. Twenty years later, the same Burnett leads the study whose findings have finally uncovered the mechanics that allow an erection to be maintained. By studying mice, Burnett and colleagues found that complex positive feedback loop in the penile nerves that triggers waves of nitric oxide are the culprit. Thus, after the initial release of nitric oxide, a cascade of chemicals help sustain the nerve impulses which maintain an erection, originating from brain and from physical stimulation. 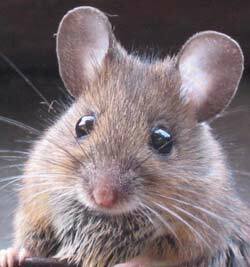 Thing is, at the basic erectile biological level, we’re in the same frame as mice. Don’t think that over too much. Anyway, with this basic biological information now at hand, it may be possible to develop new medical approaches to help men with erection problems caused by such factors as diabetes, vascular disease or nerve damage from surgical procedures. “Now, 20 years later, we know that nitric oxide is not just a blip here or there, but instead it initiates a cyclic system that continues to produce waves of the neurotransmitter from the penile nerves,” says Burnett. In their research thus far, the scientists found an agent which stimulate the pumping of the newly covered chemical – forskolin, an herbal compound that has been used before to relax muscle and widen heart vessels. It seems forskolin also ramps up nerves and can help keep nitric oxide flowing to maintain an erection. The findings will be reported in this week’s edition of the journal Proceedings of the National Academy of Sciences (PNAS).